During the Pesach vacation, we visited the Biblical Museum of Natural History in Bet Shemesh. 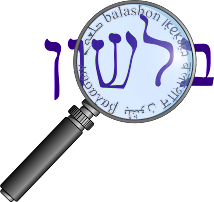 It's a really interesting museum, with live animals, and a guided tour that exhibits animals from the time of the Tanach, and explains both their religious and scientific background. I found particularly fascinating the cases where the the biblical word for an animal now refers to something else. One of the surprises for me was the tzav צב. In Modern Hebrew, that word unquestionably refers to the turtle. But in the museum, we instead found a large lizard. How did this happen? First of all, let's see why it originally meant a kind of lizard. This is relatively easy to determine, as we have the Arabic cognate dabb, meaning lizard. 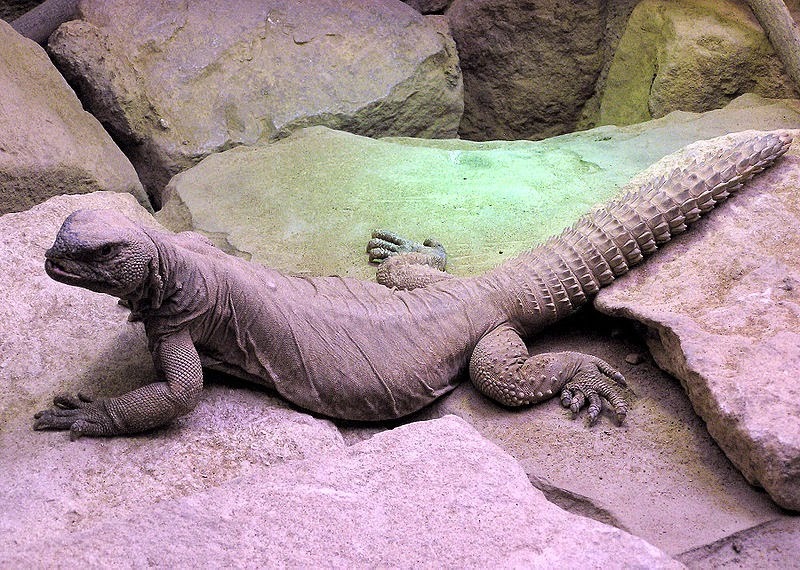 Kaddari says it refers to a large lizard from the Agamidae family, and the Daat Mikra on Vayikra 11:29 (the only mention of the tzav in the Tanach), more specifically identifies it with the Egyptian dabb lizard (also known as the Egyptian Mastigure), Uromastyx aegyptia, known in Arabic as dhab. It is found in the desert areas of this region, and is eaten by Bedouins (although this is prohibited to Jews in that verse in Vayikra). In Hebrew, this family of lizards is the chardon חרדון family, and this is how Targum Yonatan translates the word. Rav Saadia Gaon explicitly identifies the tzav with the dabb lizard. So why today does tzav mean turtle? Over the years there have been some attempts to use the word shalchufa שלחופה for tortoise (based on the Arabic), but it has never caught on.